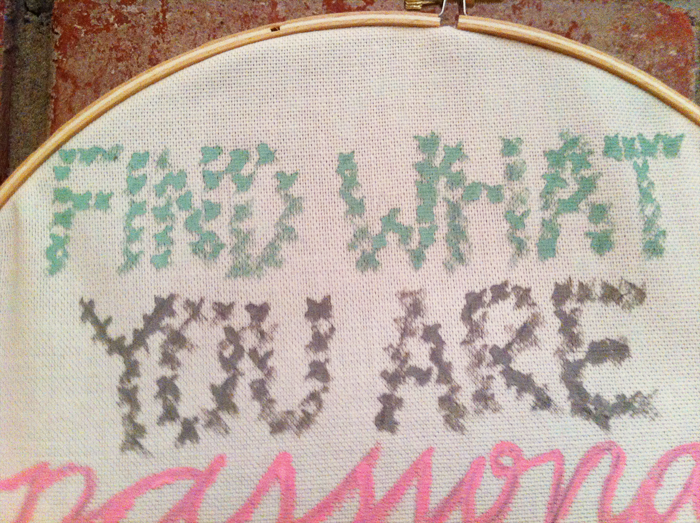 Not the best cross-stitcher? thats alright…just pull out your paints and write in x's! This DIY comes with few instructions, so I say it is really an inspirational DIY. 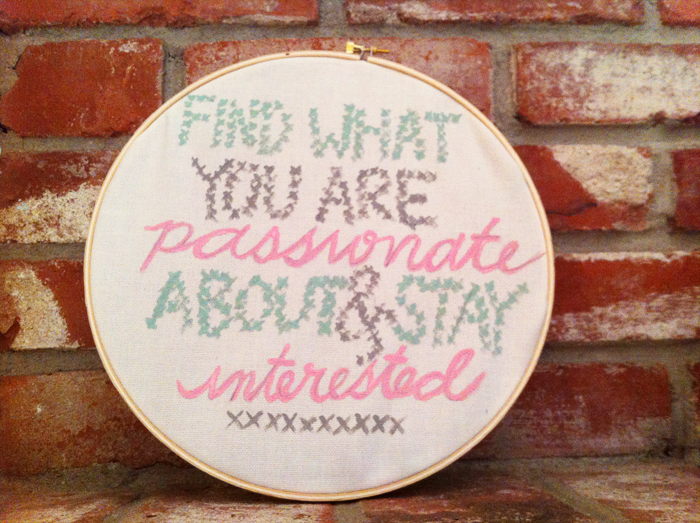 Let your creativity take you as you make your own cross stitch hoop painting! 4. Trace with x's *for cursive words I just traced normally. 5. Hang on your favorite wall!